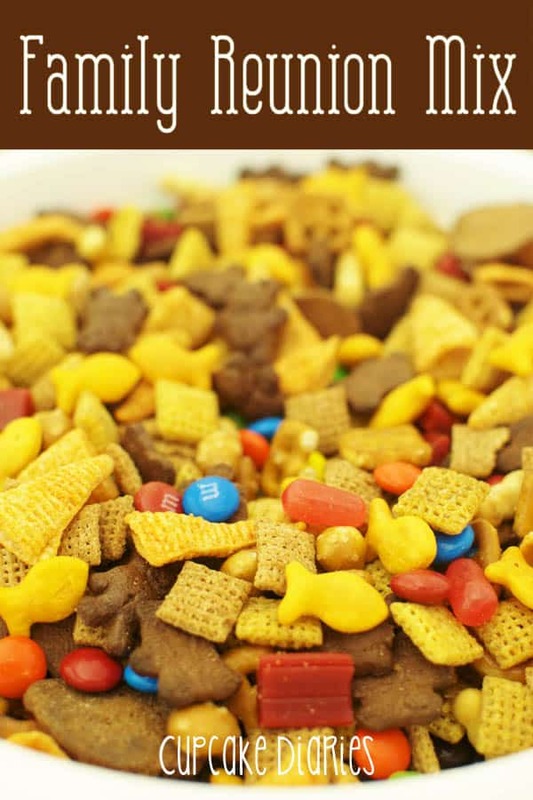 Last month I shared this fun camping recipe over at Heavenly Homes and Forever Families! And just in case you missed it over there, I wanted to share it with you here. My husband and I love the outdoors. We haven’t been able to take our kids camping, but we sure hope to sometime in the near future! My husband and I love to camp. 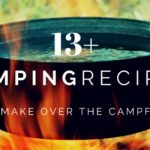 Finding meals to cook over the campfire can be fun but also challenging. One of our camping dinner favorites is a hot and cheesy Camping Quesadilla. 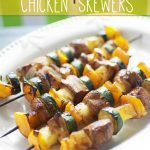 They’re easy to make and taste so yummy! Just put the quesadillas together, place on tin foil and cover them up, and place them on the grate right over your campfire. And just like that dinner is done! All year round we like to make these quesadillas at home on our grill. 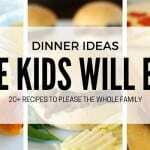 Fun and easy dinner! Remove from the grate and cut in four pieces. No plates needed because you have the foil! If you don’t want to cook the chicken on your camping trip, cook it ahead of time and bring it with you to build the quesadillas. You can also prep the other ingredients before your trip, so all you’ll have to do is throw the quesadillas together! 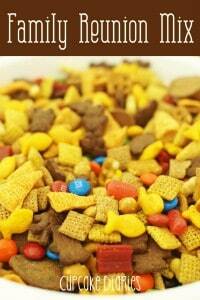 Family Reunion Snack Mix is another great option for a camping trip or family reunion! A perfect snack to keep out for the family to munch on. how smart I would have never thought to do that! Love this! We are going camping for the first time in a long time in a couple of weeks, I am nervous, this is the perfect idea! I love this. 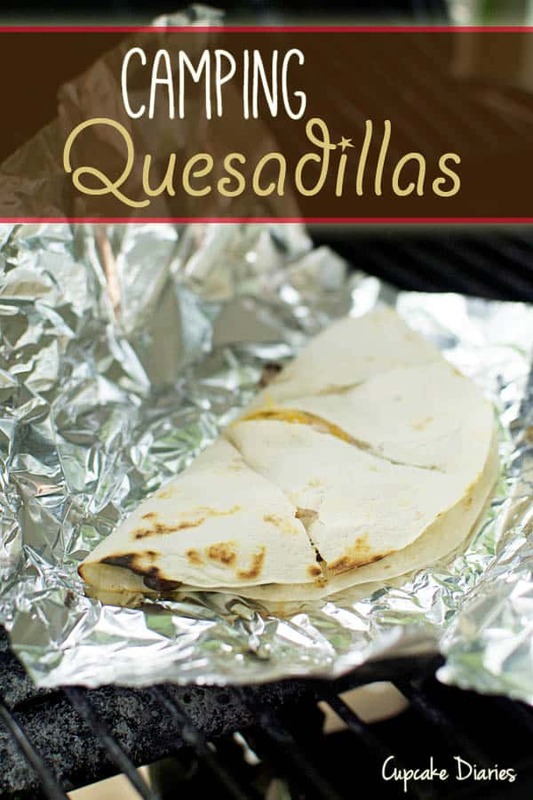 My young boys love quesadillas so this would be perfect for them! Great idea – looks so yummy! Pinning for later. Seems pretty high maintenance with all those ingredients and instructions and stuff. Where is pin for shake and pour pancakes? Haha I’m all about the shake and pour pancakes, too! 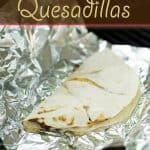 Another option with these quesadillas is to prepare them at home and wrap them in foil. Then they’re all ready to go when you get to your campsite and all you’ll have to do is thrown them on the grate! That is so clever! I think my son would enjoy this! Thank you for sharing! Thanks, Tara! This is one of my kids’ favorite things to eat while camping. And at home on the grill! Why haven’t you taken your boys camping? We camped until two weeks before our daughter was born and by the time she was 6 months old we had her out on the trails. There is no reason to wait until the kids are older to camp. That’s great that you guys are so into camping! 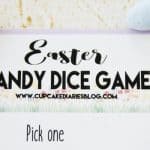 Since I wrote this post last summer we have been able to take the kids camping multiple times and they love it. My daughter had a baby last May and we had her and the baby out camping before he was a month old. He did fantastic and did not get sick and slept great and enjoyed his pack play day times and sitting in someone lap in the evening watching the fire. And slept in his pack and play at night all snuggled up nice and toasty. Mom’s don’t be afraid your littles out camping when they are young they will adjust early and will love it as much as you do. That’s awesome that her baby did so well! That sure makes things easier. 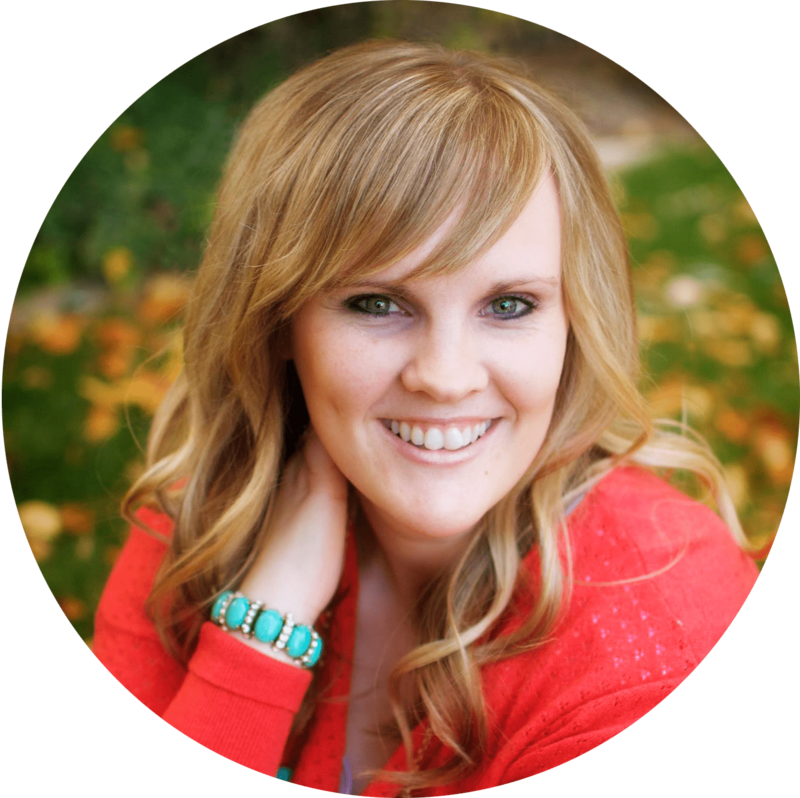 I’ve gotten braver since writing this post a few years ago. But since all my babies have been premature, I’ve hesitated taking them camping too early. We’re camping much more these days though! I salute you for your patience and kindness. Mrs B was rude, and why you couldn’t go was none of her business. 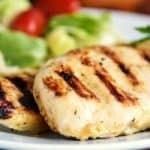 Beautiful website and your recipes look great. Thanks for sharing!! I’m going camping with six other people and this will be perfect for lunch. Can I make the whole thing and freeze it before driving up and throw it on the fire ? Hi Samantha! 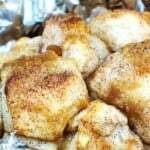 First of all, thanks so much for considering this recipe for your camping trip! I hope you love it. Yes, you can definitely freeze these and throw them on the fire. You might want to let them thaw a little first before putting them on or maybe put them in a warm spot but not too hot. 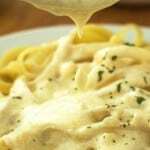 Just so the entire thing can get evenly heated through and the cheese can melt without the outside getting over done. Does that make sense? Could you make these with pizza fillings instead? Planning to camp with a group of 15 in August. All 4 of my grown sons,wives and 3 grandbabies along with my 7 and 10 year olds. Want to make a pizza type lunch. I think that sounds great! I love this idea. Then you could just dip them in pizza sauce. Love it!